On the other hand, I know that many of you are passionate and desperate to get your own film made, whether it be as a “calling card” or festival offering, and that often the only way to have that happen is to ask people to work for free or little on your project or thesis shoot. If you do feel bad about it, I commend you. There are plenty of people who have no twinges of guilt whatsoever about repeatedly asking people to work for little or nothing, often by dangling bogus promises that “the next one will be big”, with much talk of future connections which rarely materialize. Copy-and-credit is certainly the least anyone could do in gratitude for their workers’ efforts, although other than for the department heads, the value of the copy is limited, and these are usually the first credits to drop off your resume. 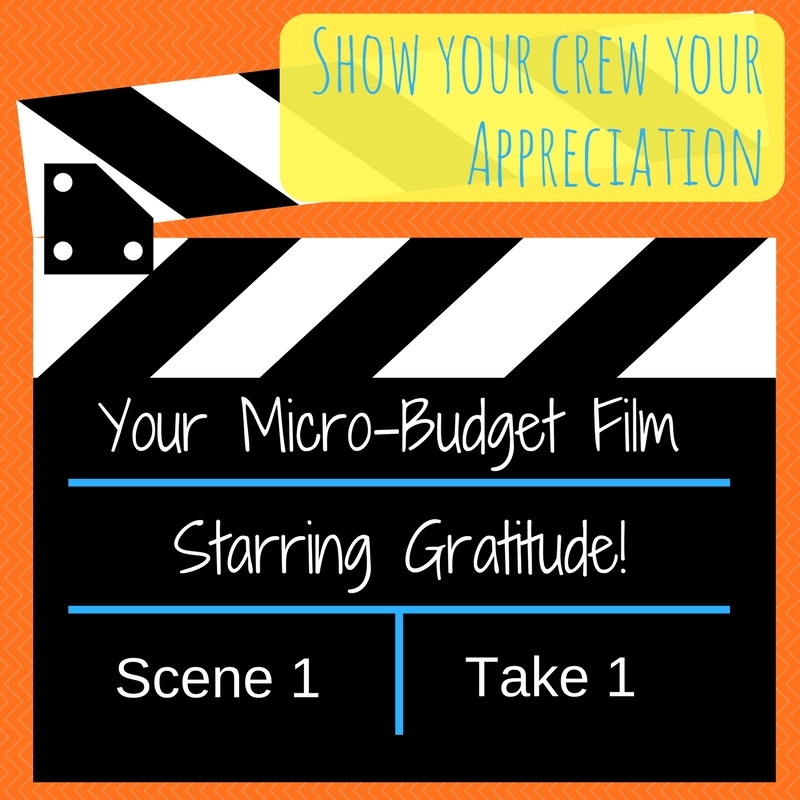 As the Director of a micro-budget project, what steps can you take to make your free project of genuine value to the careers of the hungry neophytes who will agree to work on it “just for the experience”? It should go without saying, but make the best picture you can. You are saving money on people, but you will have to spend something on production value. Don’t be in a rush to start, but get the script into the best possible shape. Focus on story and characters, and don’t get distracted by your special effects or hung up on a hard-to-manage location. Start with a doable script and your film will be better. That helps everyone. I don’t care how low your budget is. You must supply a decent lunch, and high quality craft service during the shoot. The difference it makes to a happy crew is remarkable. Don’t make promises, even sincerely meant ones. You might genuinely intend to bring the PAs, your coordinator, your sound mixer, even your awesome newly-minted DP, with you to your big breakthrough project, but most of the time it won’t be up to you. If you are fortunate enough to be invited to direct your first feature, you will likely be paired with some experienced department heads at the Producer’s insistence, from the roster of names that the Company trusts. Be the first to arrive and the last to leave. Be visibly working as hard as everyone else. Express your gratitude and lead by example, and your crew will reward you with utter devotion and half kill themselves to get your picture done well. This latter point refers to every project at every budget level for ever. Give people the chance to shine and contribute. Make time for creative conversations and collaboration, rather than being a dictator. Have a long memory. One day, it will be up to you. In the meantime, everyone is always being asked for recommendations. See what you can do. Maybe you will have the chance to invite some of them to your big wrap party or industry screening, so they can do some networking. Make introductions. 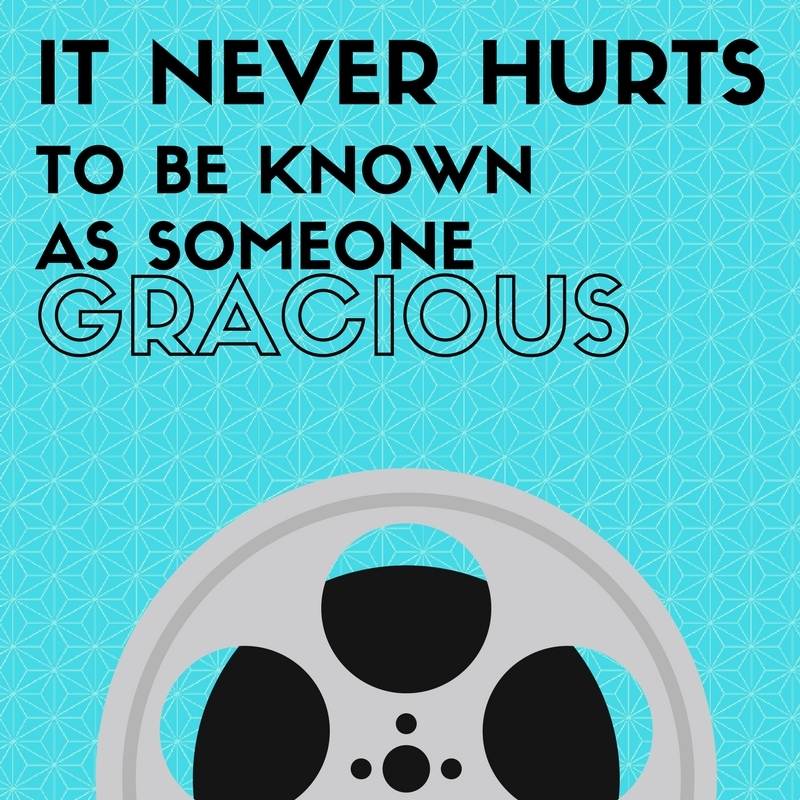 It never hurts to be known as someone gracious. If your film is intended as a festival offering, keep all your crew abreast of what is happening. Don’t make them have to search IMDb to discover that the little picture they worked on last year has won an audience award at Palm Springs International Film Festival, or been accepted into the student section at Cannes. With all the ease of social media groups, there really is no excuse for not keeping in touch. You could distribute a simple newsletter about the project. Have a website or Facebook page for the project, and invite your crew to link their pages, IMDb entry or profile. When you submit the project to IMDb, include everyone who worked on it and their job title, instead of just yourself and the writer. If it is destined for You Tube or Vimeo, encourage the crew to link to it, and use the link on their own pages. Don’t give up if your film is not accepted into one of the big festivals. There are so many smaller ones, all over the country and the world. Many look for unique voices that are too quirky for the big ones. Above all, realize that you are getting considerably more from these folks’ labor, than they are getting from being part of your film, at least in most cases. They are giving you their precious time, an irreplaceable commodity, to work on your show, time they could be devoting to their own job search. I hope you turn out to be the next great genius in the business, and that your glamour casts a glow over everyone who worked with you, in the early days. But remember – it is just as plausible that the next great genius is toiling for pennies on your crew.